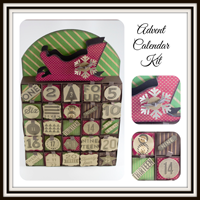 Today's card is for the Merry Monday #29 - Christmas Cheer Challenge. I broke open a pack of Snow Festival DSP from the Holiday Catalog, for its playful winter images. I couldn't decide which I liked better; the mittens or the stockings, so I used them both and varied from the sketch just a smidgen. 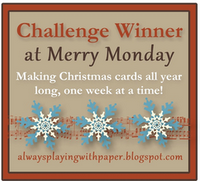 Last week was my first time entering a challenge at Always Playing With Paper - Merry Monday and I was the challenge winner! 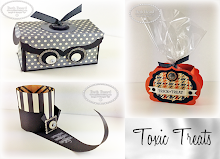 I am so excited, because now I get to be a guest designer next Monday... woot-woot! Be sure to check back on Monday and hop over to Always playing With Paper and check out all the inspirational Christmas cards from all these talented ladies. Adorable card and colours Beth! Love that new paper! Excited to have you GD with us on Monday! 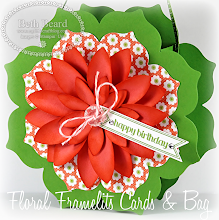 Very nice card, I love the fun bright papers and colours. Thank you for joining us for Merry Monday this week. 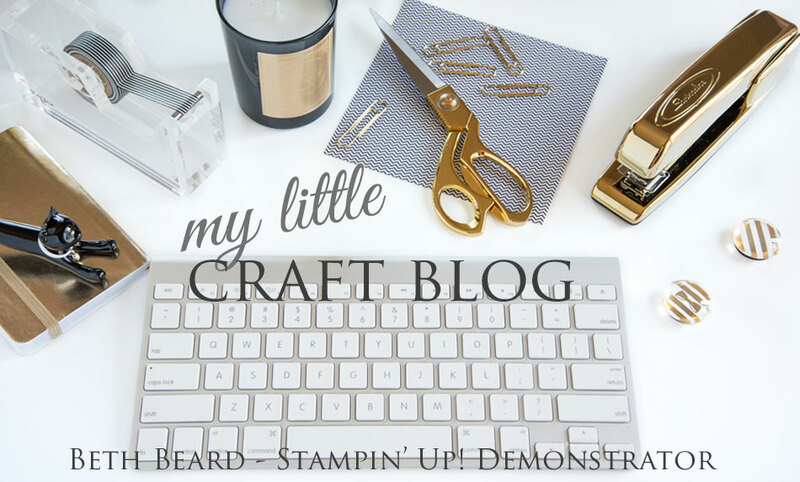 This paper is so fun & cute---love what you did with the sketch! 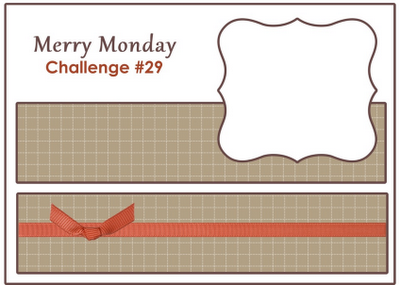 Thanks for participating in the Merry Monday challenge this week! I'm so excited that you're going to be our GD! That was an amazing card! So is this! I'm glad you used both the mittens and stocking. An amazing use of DSP! Thanks for sharing with us at Merry Monday! Super adorable Christmas card, Beth! Love the mittens, stockings and that pretty paper!